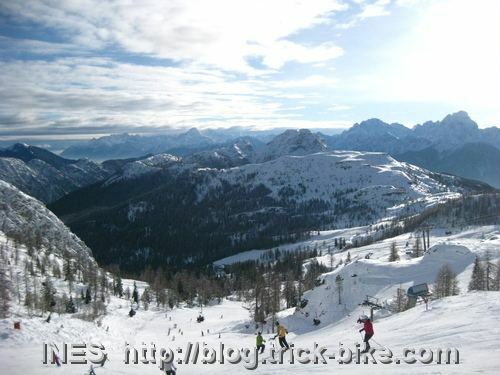 We got a 6 day ski pass for the Nassfeld ski resort in the south of Austria at the border with Italy and near Slovenia. 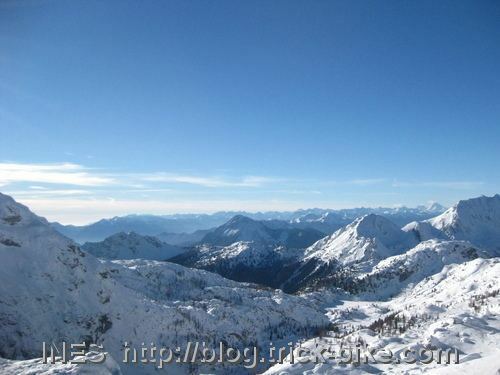 That is the biggest skiing resort in Carinthia. There were some clouds today but in general we had sunshine. How nice it is to be outdoors the whole day and doing sport! I am so happy to be here! Compared to last time I was skiing in Austria some things changed. And that was only 2 years ago in the same resort. The average speed on the ski slopes has increased drastically. It is great as now more people are skiing at a similar speed as me. But a lot of them are not such good skiers so they cannot control their skis so well. And another part of them just does not look what is going on around them and so stupid unexpected moves on the slopes. There had been quite some accidents in the past years with head injuries so now almost everybody is wearing a helmet. And a lot of kids are required to wear a back protector to protect the spine. The helmet thing is great for the helmet industry. But I believe more people injure their knees or legs where a helmet does not really change the situation. And with the helmet I have the feeling people are more reckless. For example people suddenly just stop at random places on the slope. Or they just start skiing without checking if someone is coming down their way. We brought our own lunch and found a spot outside of the slopes where we set up the snowboard and my skis as a bench with backrest. There was a nice view. In the evening we had a great dinner with my parents and then we all played cards again. O-hell is quite fn with 4 people. This entry was posted on Mittwoch, Dezember 29th, 2010 at 23:41 and is filed under Austria, Outdoors. You can follow any responses to this entry through the RSS 2.0 feed. Both comments and pings are currently closed.